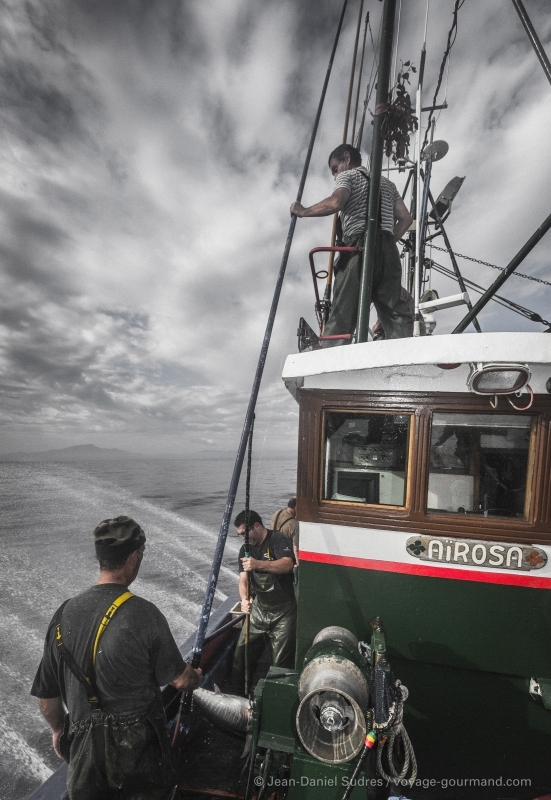 Traditional pole and line fishing for tuna with live bait aboard the Airosa, the last tuna pole fishing boat from Saint-Jean de Luz, officially classified as a historical monument. 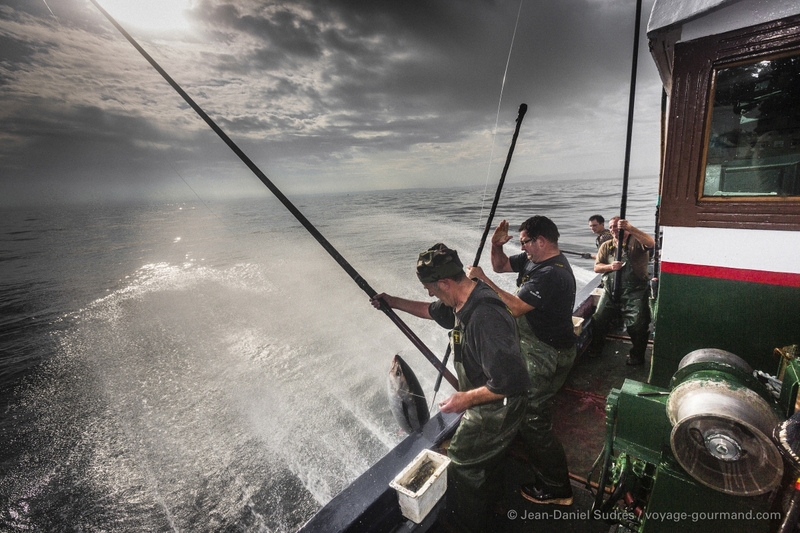 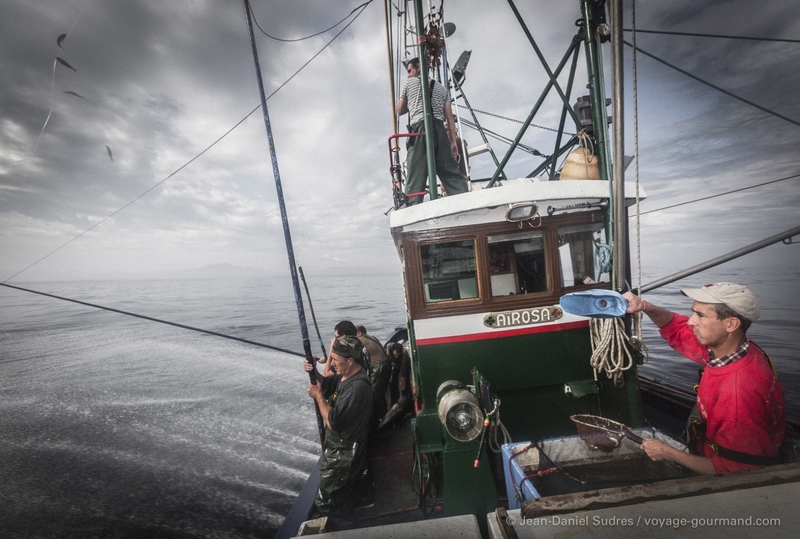 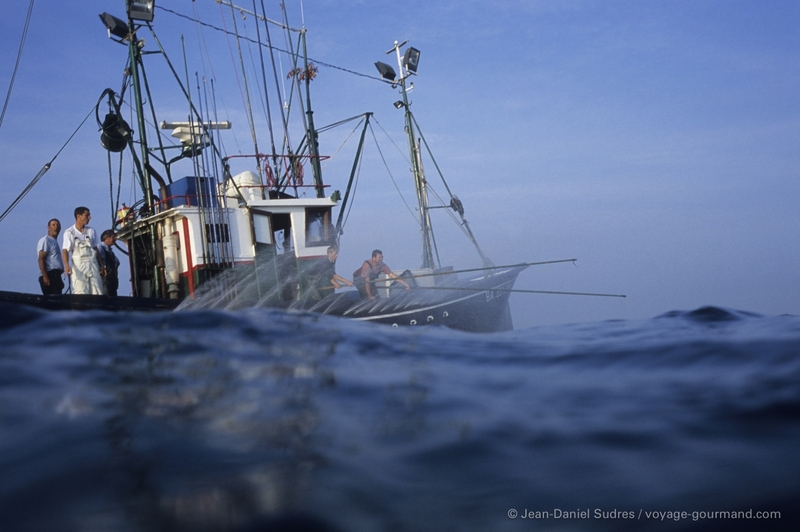 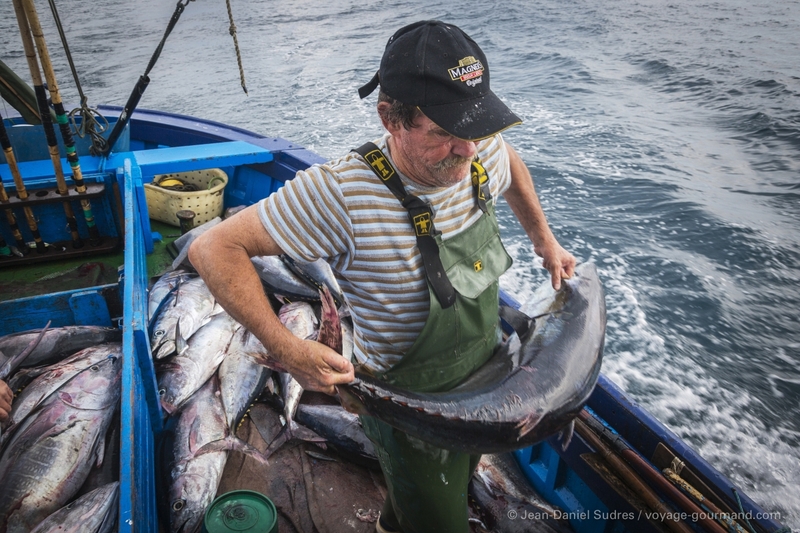 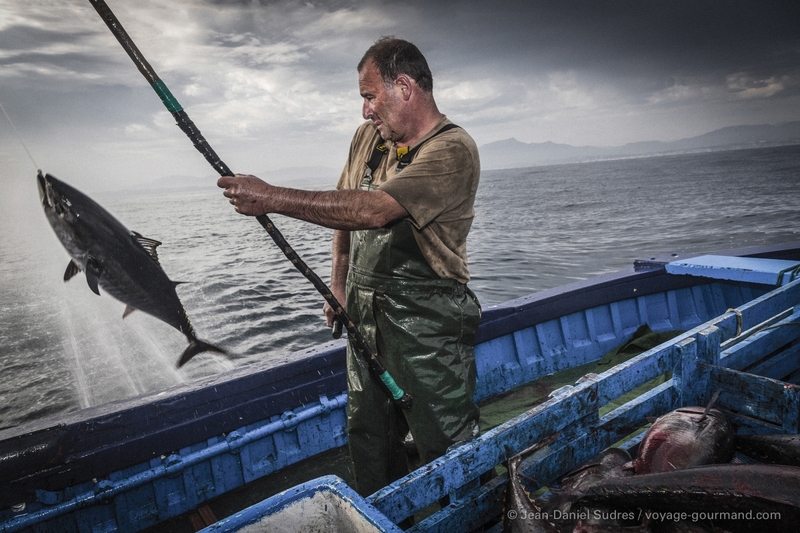 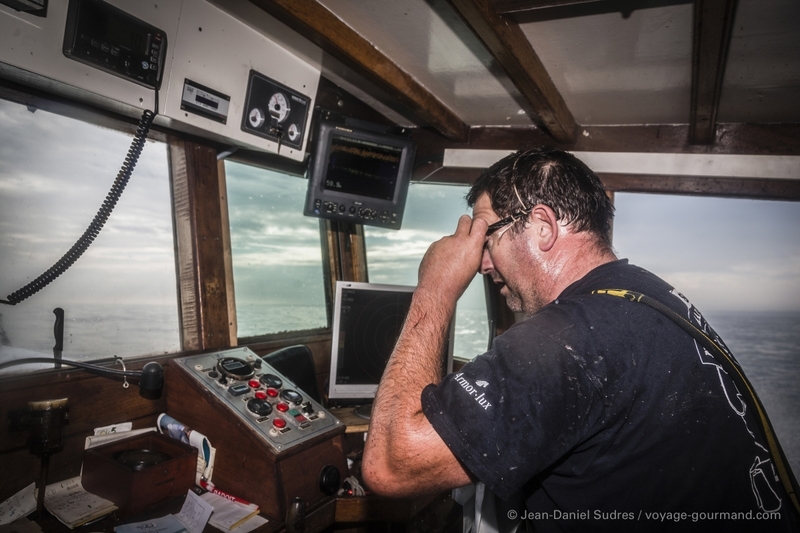 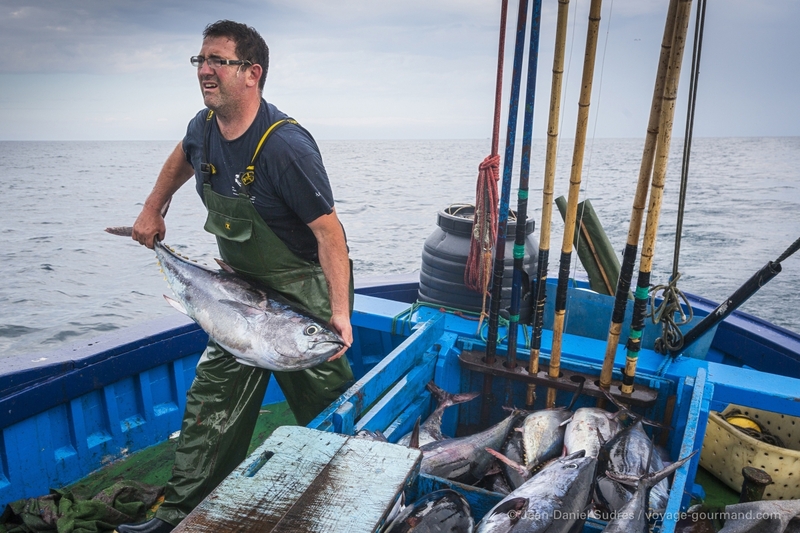 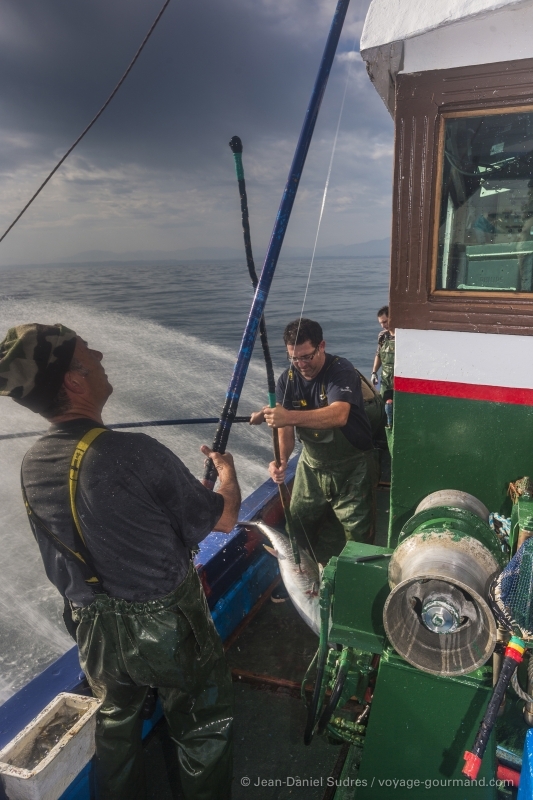 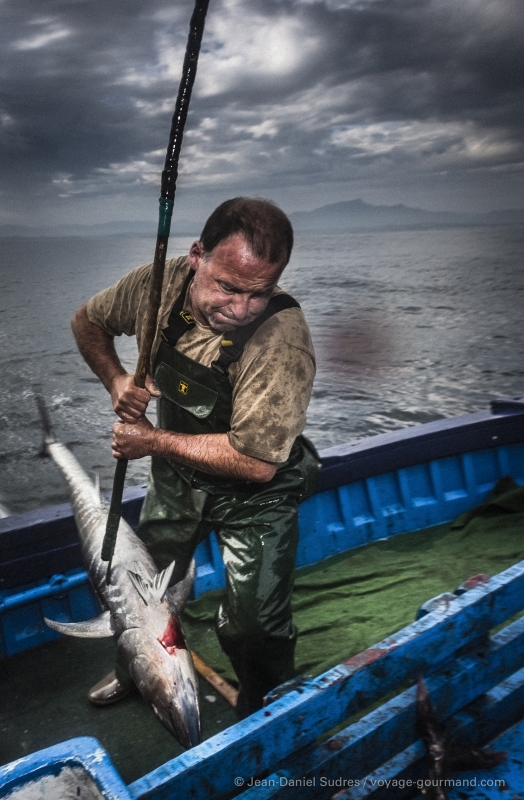 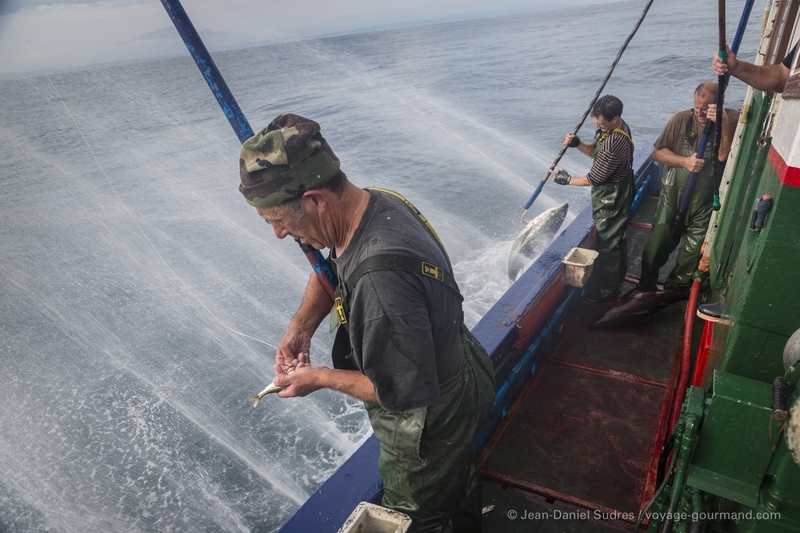 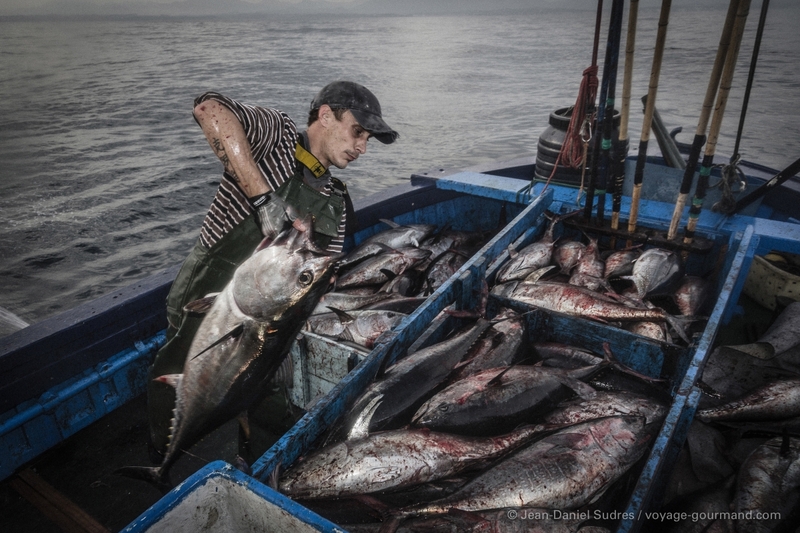 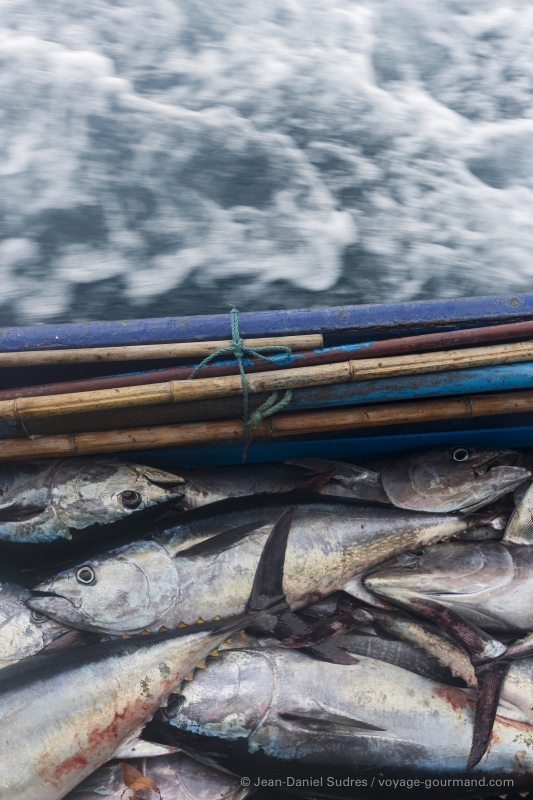 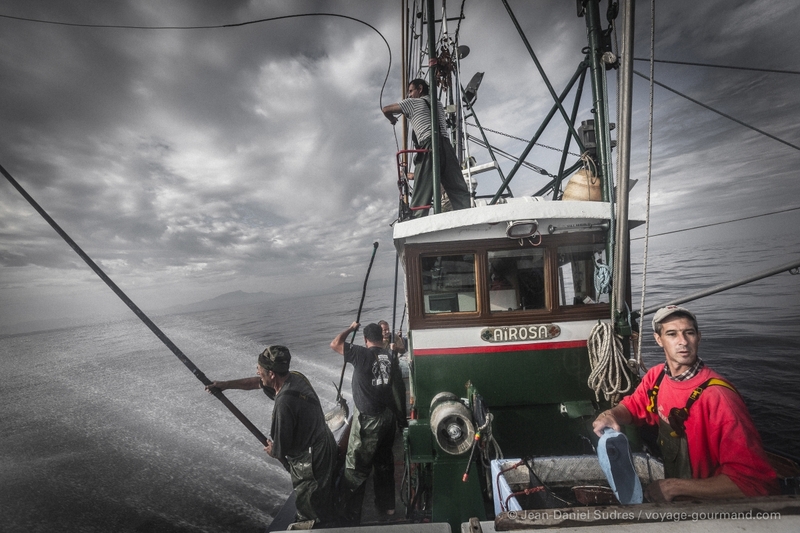 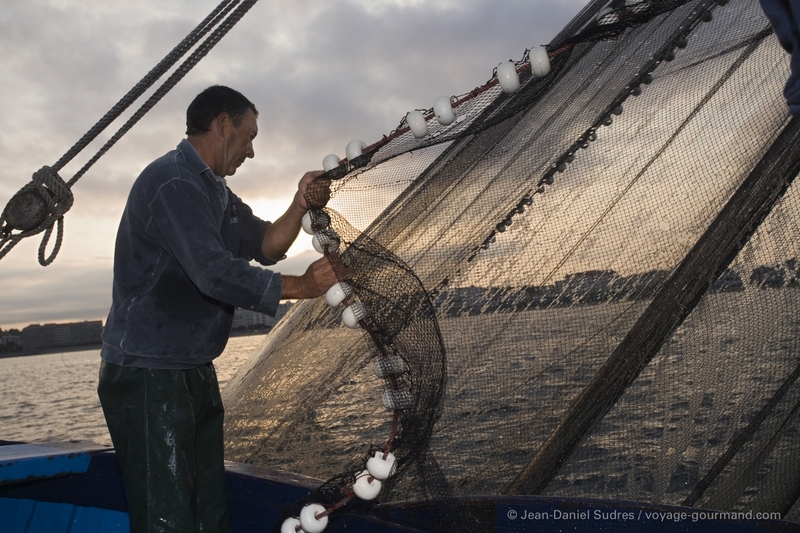 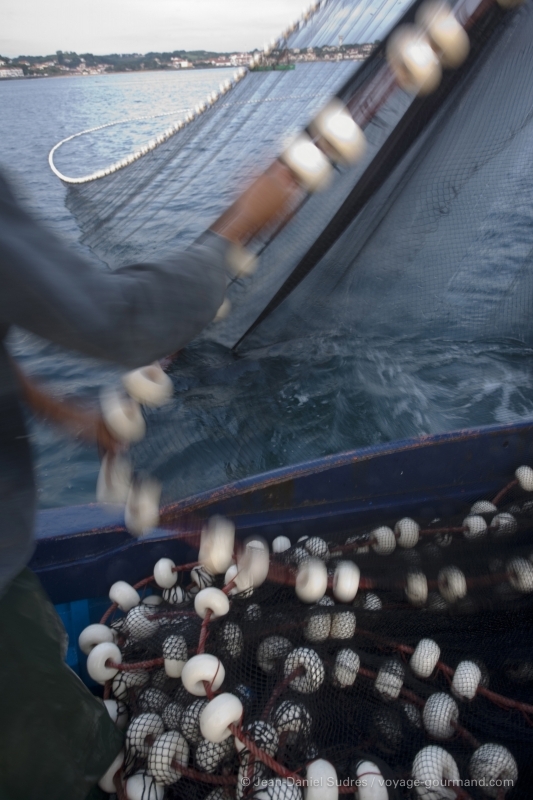 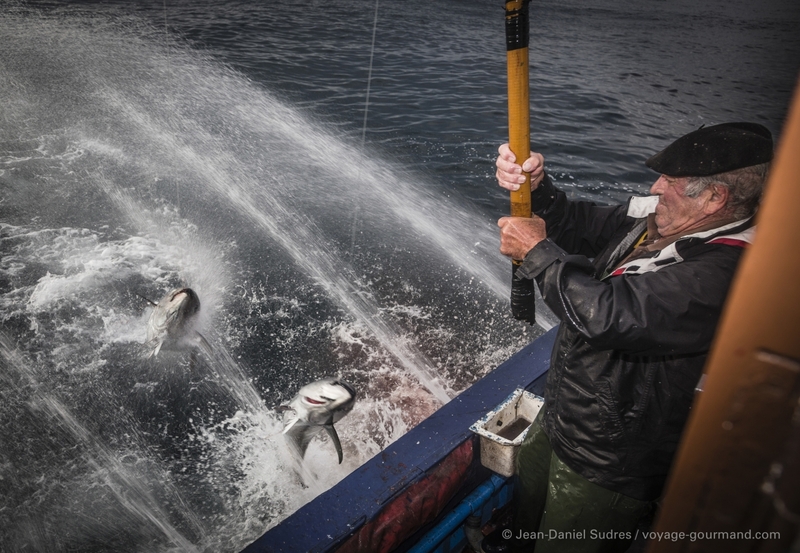 Didier Martinez is at the helm, at the command of his crew of five passionate fishermen. 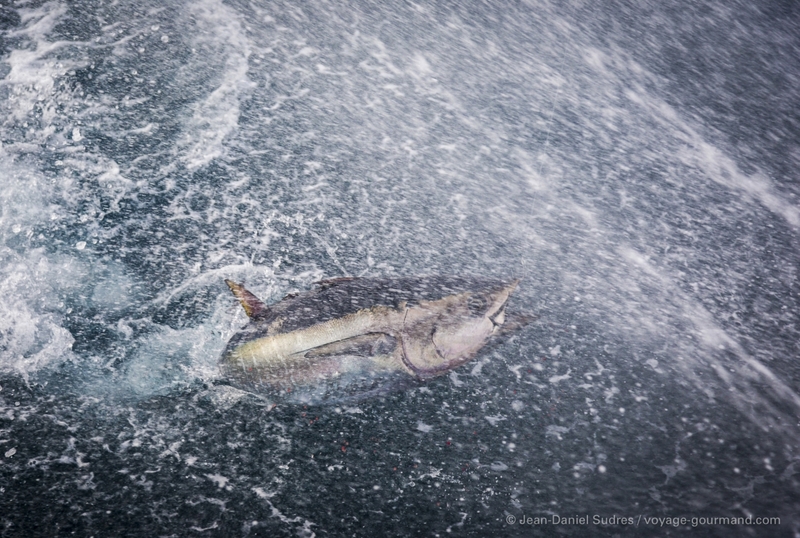 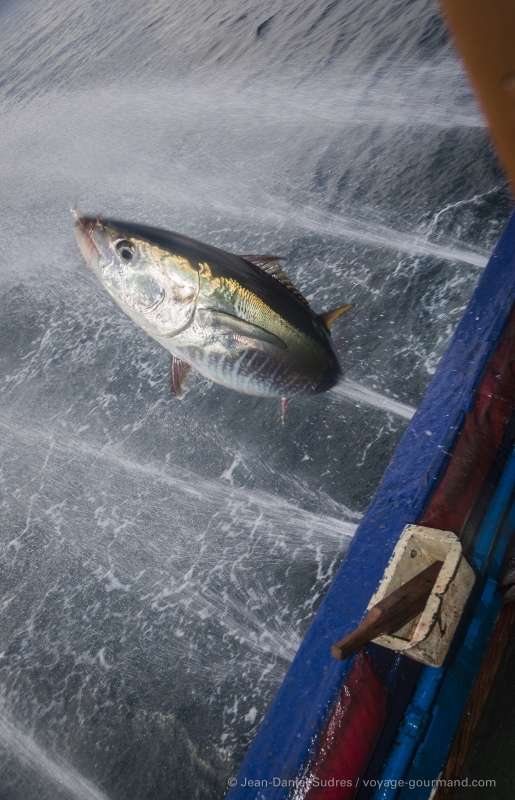 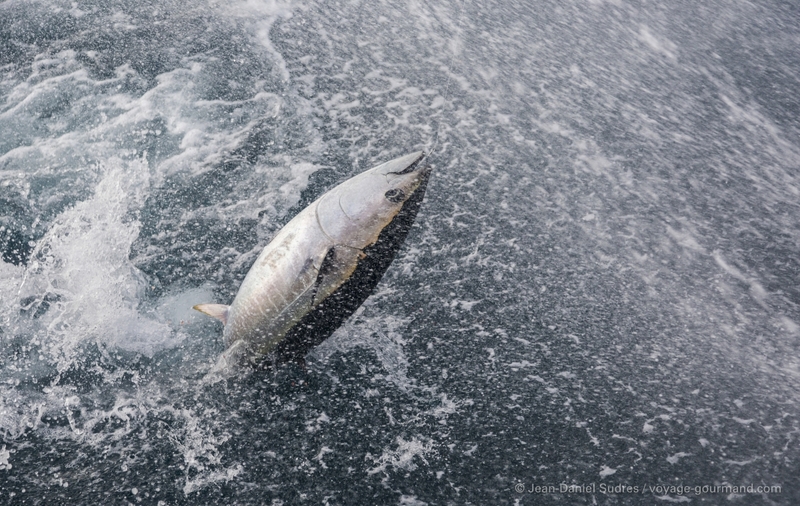 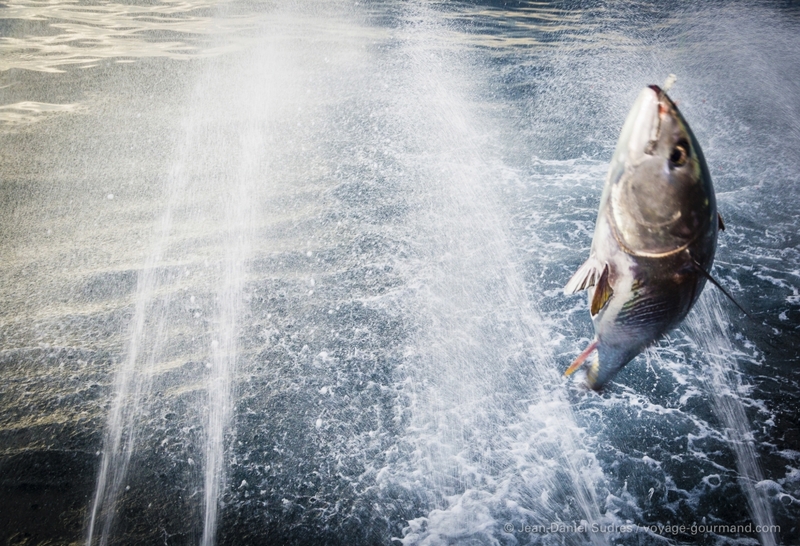 This type of fishing requires initially catching small fish: sardines and mackerel which will serve as bait to lure Bluefin tuna to the boat, camouflaged by water sprinklers. 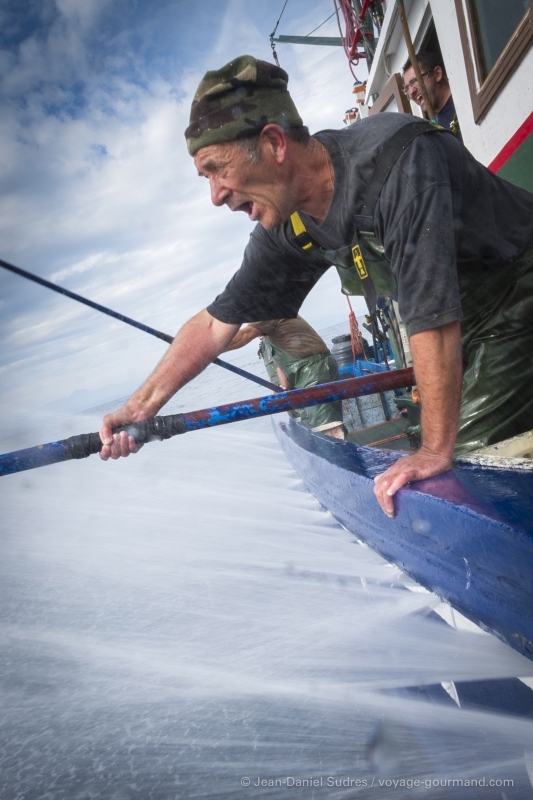 This remarkable fishing practice is increasingly rare, although it is one of the most ecologically sustainable. 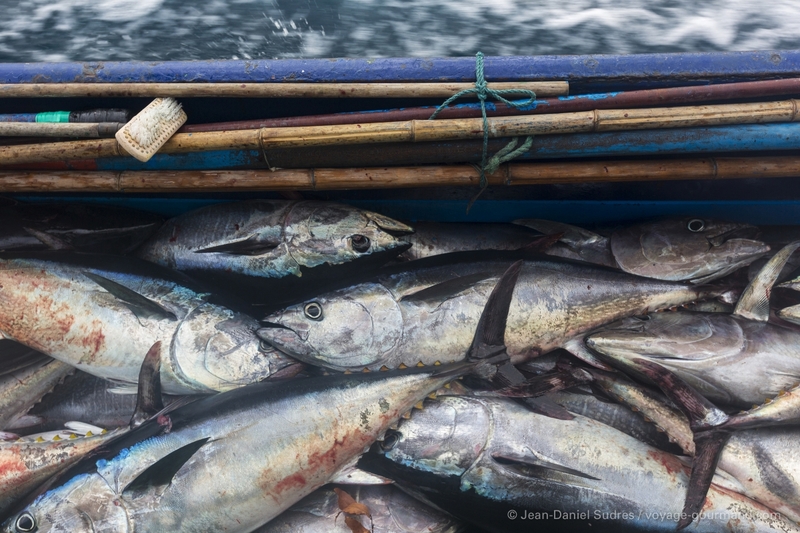 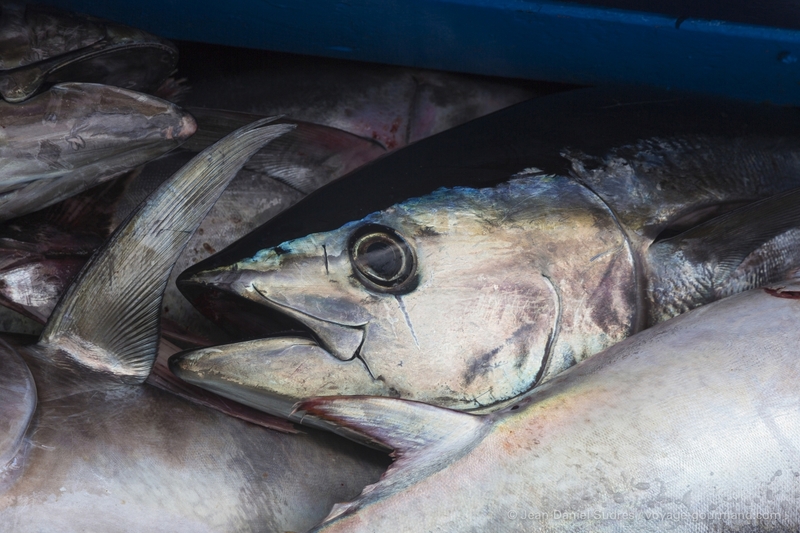 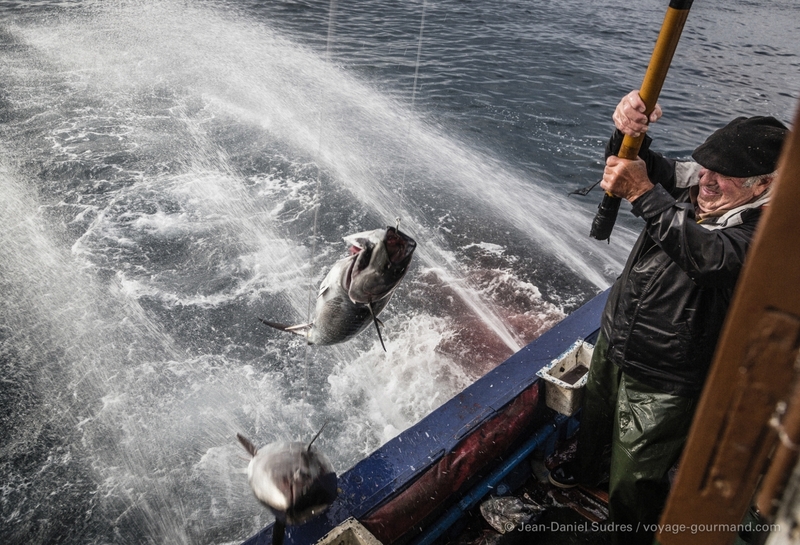 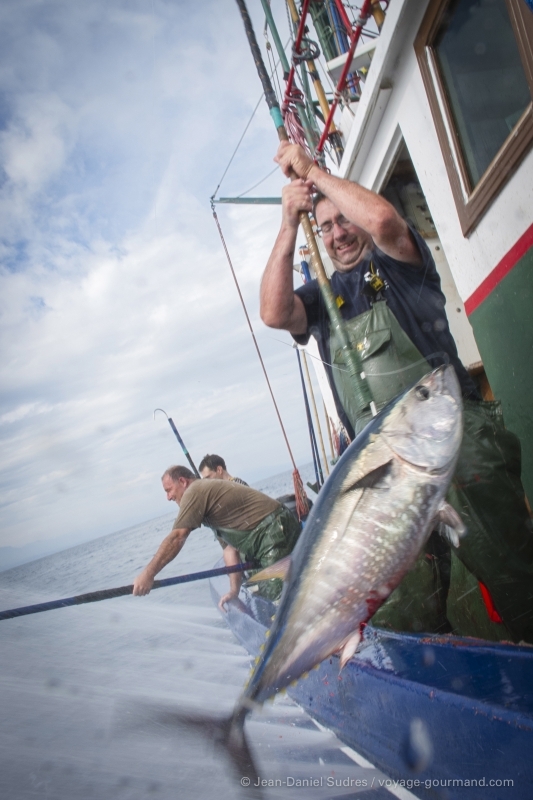 The fishermen will release back into the waters young tuna, while the day’s catch is brought back to port daily. 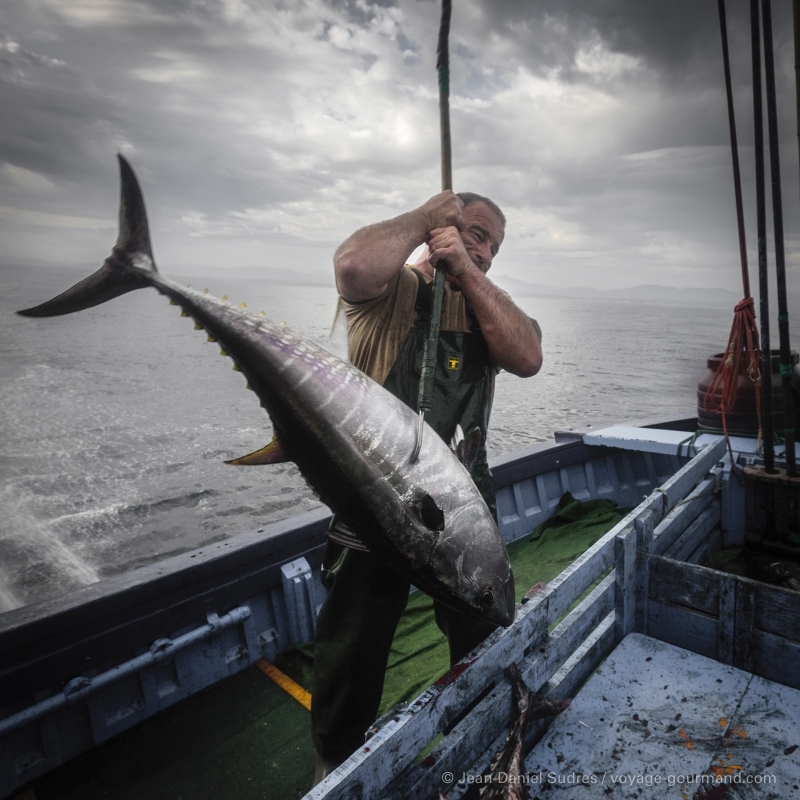 This is a far cry from the indiscriminate slaughtering and destruction of the environment committed by industrial fishing trawlers and denounced by Greenpeace.